What happens when the real property title does not get transferred or funded into a trust before the creator of the trust dies? California Probate Code 850, also known as a Heggstad Petition may be an option. Does it become necessary to start probate proceedings in the probate court? When a California trust document gets created the creator must fund the trust with the assets intended to be a trust asset. This ensures the trust holds title to real property and personal property title gets held in the name of the trust. Setting up a living trust and funding the trust with the assets avoids costly and time-consuming probate and can avoid the need to establish a conservatorship. Someone may need changes in their trust when the estate and gift tax exemptions get changed. If the decedent while living, does not change the title to the property, and the property does not get transferred into the trust, the successor trustee has options. 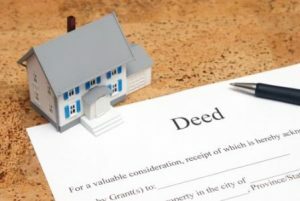 The decedents dying before estate property gets transferred into a trust does not mean the successor trustees must start probate proceedings with the superior court to transfer personal property or transfer or convey real property. It is common to remove real property from a trust when refinancing and it does not get put back into the trust. The creator of the trust forgot. They did not know title needs to get changed to the trust. I’ve had a few clients that did not know! The person died before title got changed. The successor trustee takes over the trust administration when the creator of the trust no longer has the capacity or dies. California Probate Code Section 850, also known as a Heggstad petition, under certain conditions, allows for transferring real estate or personal property title into a trust. When title to real property is not in trust ownership at the time the creator of the trust dies, the personal representative or any interested third party may petition the court to declare the real property a trust asset. (A) Where a trustee is in possession of or holds title to, real or personal property, and the property, or some interest, is claimed to belong to another. (B) Where the trustee has a claim to the real or personal property, title to or possession of which is held by another. Filing a petition with the court is the process used to request the probate court for an order declaring the real property a trust asset. It is a technique used in trust administration to avoid probate proceedings. I’ve lost count of the number of times successor trustees had to file Heggstad petitions in California because the trust was not holding title to the real estate they needed to sell after the creator of the trust died. The petition gets filed, and the matter gets scheduled for a hearing date. It must give a 30-day notice to all interested parties. The Heggstad petition timeline will vary depending upon the county and the attorney fees. California does not have a legal requirement that an attorney prepare the legal documents to file petitions with county superior courts. It is always prudent to consult with an attorney that specializes in probate in California. Probate for many trusts and estates attorneys include estate plan, estate administration, trust litigation, estate litigation, elder law, probate litigator, trust contest, and more. Only licensed attorneys can give California legal advice. 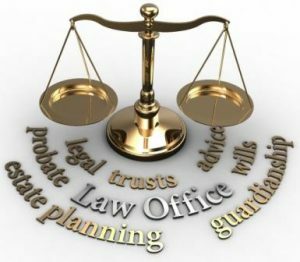 California estate and trust attorneys know how to prepare legal documents such as a financial power of attorney, trust transfer deed, property petition, Heggstad petition to name just a few. Probate in California is broad. There are 58 counties in the State of California. The trust estate attorney you hire not only needs to know the law they need to know the local court rules set forth in the county. The local rules may be different in Santa Clara County compared to San Mateo, San Francisco, Contra Costa, Los Angeles, Yolo County, or any of the other counties. 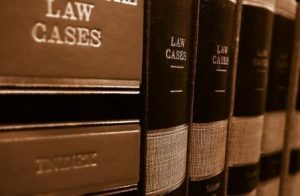 If you hire a Los Angeles probate attorney to file a Heggstad petition under California Probate Code Section 850 in Santa Clara County, the estate attorney needs to know or check the local rules of court before filing. Some counties require an official probate case be opened to file a Heggstad petition. Santa Clara County does not require a probate case to get opened. As with all things in life, there is never a guarantee the probate court will grant the request under Probate Code 850. If the court grants the petition, it avoids the costly and time-consuming probate process. There will be an attorney fee to pay for preparing and filing a Heggstad petition or fees paid to a legal document assistant service. However, if granted the cost will be much less than a full probate. If the probate court denies the Heggstad petition, the trusts face the additional fees and costs of proceeding with the full probate process.